Club Penguin Cheats by Mimo777 Club Penguin Cheats by Mimo777: Club Penguin Newspaper! i think the construction of the everday phoning facility will be the most awesome! Mimo on the ground of the ski village the outline of the EPF badge is there! Go check it out! Its pretty cool. Hi! I'll start modding again! By the way, what was hnwjanuary11's joke? 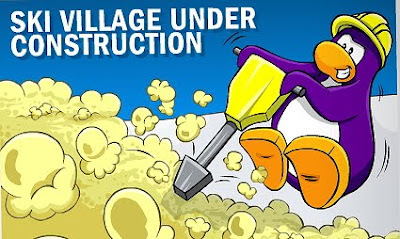 Mimo, I was looking at the picture of the ski village from a few posts back and saw right underneath a blue penguins foot was the outline for the EPF symbol. Just thought I'd share the news! My penguin name is Will Montina. Waddle on! 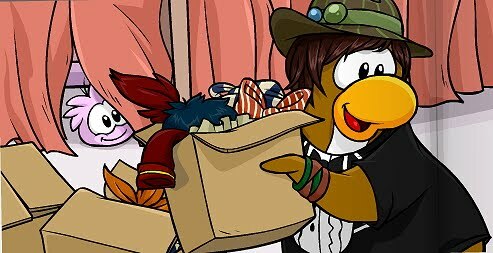 did u see at the bottom right of the penguin style article that it says "head to the gift shop for new SUMMER party fashions"? could CP be bringing back the summer parties? Hey I just noticed that in the newspaper all the construction dudes and the guys that sell close are all like "ummm uhhhh ummm". So I think that there going to have the agent upgrades as a secret part in the next catalog that only people who have gotten the EPF games will be able to access. To Lopakoy: I think what the joke is is like well her name is aunt arctic and if Candice is standing on the arctic then the arctic is all around her, therfore being in front of her and behind her at the same time. WOOT! I can't wait til the everyday phoning facility opens up! i think they made it sound real boring so that regular penguins wont go there. HA HA HA!!!! Hmmm... The summer party, of course! I know! It's gonna be so cool! I can't wait until it's done! Yeah! The Spy Phone is going to be more of a gadget... The uniforms are awesome! I love them! "Aunt Arctic is standing behind Cadence, yet Cadence is standing behind Aunt Arctic. How is this possible?" Cool! Good job! I think Mimo has noticed that, though... The EPF is being so secretive by doing that! I think they meant summer clothing. For example, in the winter, they sell hoodies! So in the summer, they sell T-shirts, hats, and all kinds of summer clothes! Yea. I believe it will go above the phone in the Spor, I mean, the Everyday Phoning Facility. I know this cause it's in the game. Waddle On! Yea I can't wait either! Whats taking so long? I'm really excited to see the new spy phone! Waddle On! Me too! You modded everything..lol! you are a really good mod! P.S. i hope its ok that put cpg mod after my name in this comment. Q:Aunt Arctic is standing behind Cadence, yet Cadence is standing behind Aunt Arctic. How is this possible? A: They are standing back-to-back. Ok! Here, I'll mod you, and you mod me! Genius! The telephone thing is ready on cp's start page!!!! !